Postoperative adjuvant tamoxifen (TAM) therapy in breast cancer patients may lead, albeit rarely, to endometrial cancer. Preventive measures are urgently needed. 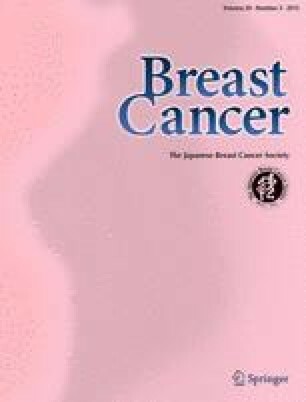 The study subjects were postmenopausal women who had undergone surgery for breast cancer. The control group (n=10) received no further therapy. Patients who had completed adjuvant TAM therapy were assigned to a medroxy-progesterone acetate (MPA; 400 mg/day orally for 4 weeks) group (n=15) or no MPA treatment group (no MPA group) (n=15). Uterine cervix cytodiagnosis was performed after completing the TAM therapy (initial), and 4 (4-week) and 16 (16-week) weeks later. The serum 17β-estradiol (E2) and progesterone concentrations were measured initially and at 4 weeks. The karyopyknotic index (KPI), eosinophilic index (EI) and maturation index (MI) were calculated from Papanicolaou-stained specimens. The background parameters showed no biases. There were no differences in the KPI or EI between the no MPA and MPA groups. However, regarding the MI, after 4 weeks in the MPA group, the intermediate cells were significantly increased, while the superficial cells tended to be significantly decreased. Regarding the percent change from the initial value, after 4 weeks in the MPA group, the KPI and superficial cells were significantly decreased, and the intermediate cells were significantly increased. The estrogen activity level and the progesterone concentration were significantly lower in the MPA group compared with the no MPA group. Conclusions. The MPA administration clearly lowered the estrogenic activity, indicating that MPA therapy should be effective in reducing the risk of TAM-associated endometrial cancer.